2 spots just opened up! Renew your spirit, kindle your soul, and stir your imagination on this one-of-a-kind, intimate, spiritual retreat in one of Ireland’s most enchanting places. We’ll retreat on Inis Mor– a small island off the west coast of Ireland– where Gaeilge (Irish) is the native language and Celtic traditions flourish. Celtic spirituality is the indigenous spirituality of Ireland. It is a gentle, nature based way of being that invites us to be our authentic selves and to live from our heart. 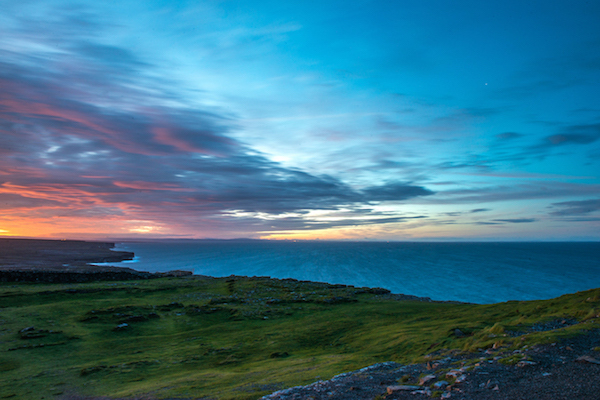 On this retreat, experience the depth and profoundly simple inspiration of Celtic Spirituality through Irish blessings, songs, poems, stories, chants, music, meditations, rituals, visits to sacred sites, connection with locals, gentle candlelit evening yoga sessions inspired by Celtic wisdom, and free time to wander the island. Mary Meighan, a native of Ireland, is the founder of Celtic Journeys whose mission is to offer soul journeys steeped in the Celtic traditions of pilgrimage, retreat, and ritual. She has traveled to sacred sites across Ireland for decades, renewing, sustaining, and sharing her passion for the Celtic world. She also visits the U.S. and other countries introducing the Celtic Spirituality through talks, workshops and retreats – drawing upon the inspiration of Irish poets, storytellers, scholars and traditional musicians. 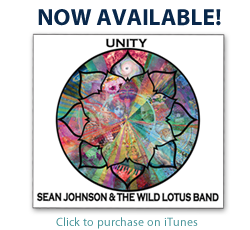 Sean Johnson is a singer, storyteller, and teacher of yoga and spirituality. 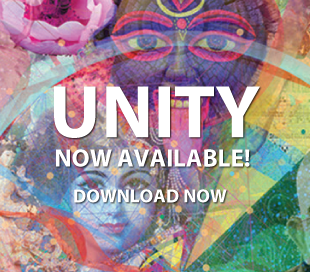 He is the founder of Wild Lotus Yoga in New Orleans, Soul School Teacher Training Program, and The Wild Lotus Band. Sean’s love of Ireland and Celtic Spirituality goes back to his youth, and in college he did an intensive program in Irish Studies. This will be his twelfth trip to Ireland. Cost: Register with $700 non-refundable deposit. Full balance due by September 1st. • After June 31st: Regular Price $1959. Price includes daily retreat sessions with Mary & Sean; four nights accommodations at an 18th century family-run guesthouse with two people per room (single room available for an extra $70 per night – $280); four hearty Irish breakfasts; lunch on the opening day; three homemade dinners at our guest house; buses on Inis Mor to and from the ferry port to guesthouse; bus excursions on the Island to sacred sites; and local guide. Price does not include airfare, ferry, and meals not listed above. Email teamlotus@wildlotusyoga.com or call (504) 899-0047.